Many organizations have a scheme for appreciating and recognizing employees for exemplary service. While in some organizations the scheme is merely an avenue for building a good work environment by motivating employees to achieve higher levels of performance, the Kenya Law's approach to such a scheme is that it is an end in itself - appreciation for exemplary service is a moral debt of gratitude that the employer owes to its employee and the fact that such a scheme would vicariously motivate employees is only incidental. The terms of the Kenya Law Employee of the Year Award Scheme were developed in 2010 and were soon thereafter adopted by the Council’s Board. The scheme seeks to recognize the achievements and contribution of managers (Team Leaders) and departmental staff (Team Players) who stand out in their exemplary service and contribution to the Council, to appreciate them and to reward them. Contributes meaningfully to the betterment of the environment, society and the community at large. The Kenya Law Team of the Year Award 2016/2017. The Kenya Law Team of the Year Award is given to a Department that attains the highest score in its evaluation of the implementation of the Department’s Strategic Plan and its contribution to the implementation of the Kenya Law's Strategic Plan as a whole. The Kenya Law Team Leader of the Year Award is given to the Team Leader of the Team of the Year. The awardees for each category are given such financial or other rewards and recognition as the Council determines from time to time. The awards are announced and presented during the annual Kenya Law End-of-Year Staff Conference. The Research & Development Department stood out in the way that its team leader led it not only in the implementation of the departmental strategic plan but also in the spirit of teamwork that was evident in the department and the manner in which it executed its work. The team leader led the team to provide access to public legal information for both internal and external customers. This year, the department has made substantial contribution to the Kenya Law website by digitization Reports from Commissions of Inquiry, Reports from Committees of Parliament and Votes, Petitions and Proceedings. These reports were only available in hard copy format in Parliament Library and the National Archives. The department has therefore played a very instrumental role in ensuring Kenyans have access to information that was previously not available in the public sphere. Over the past year, courts around the world have delivered notable decisions forming a wealth of progressive jurisprudence. The department has tapped into this and promoted knowledge and information in emerging issues in law by regular analysis and reporting of international jurisprudence, which our judicial officers are finding very useful in drafting their judgments. The Team leader’s work ethic and attitude are admirable. The department under her stewardship has grown steadily over the years and served all other departments at Kenya Law quite well. The team leader has led the department to be exemplary by clearly mapping out and applying departmental roles, workflows and processes; by creatively making use of the Document Managements System (DMS) to improve departmental activities and enhance sharing and access to information and by fostering positive interpersonal interactions and communications that contributed both to departmental goals and the welfare of the members of staff. This year’s citation for the team leader of the year goes to an individual who has demonstrated great team spirit and technical competence in the past year. This team leader demonstrated technical competence by executing their core functions promptly, competently and on time. Their understanding of the history of Kenya Law and their appreciation of the values and principles of the organization were ably demonstrated. They were reliable in their tasks. They were professional in their work. And they actively accepted responsibility for their work and made demonstrable efforts to improve. This team leader undertook tasks and duties beyond the call of their office. They did so with a positive attitude and conducted themselves with honesty, objectivity and impartiality. Their work ethic and attitude was admirable even in the midst of the pressures of looming timelines and overwhelming tasks. They were able to deliver on their deliverables without hesitation or complaint. And this attitude was also engendered within their department where the team players also demonstrated this positive work ethic and attitude, time and time again, to serve and assist others without a second thought. This team leader also enhanced Kenya Law’s partnerships through the strategic management of our stakeholders. Christian’s dedication to work is of immense value within the department. He goes the extra mile by putting in long hours at work. He is extremely dedicated to the quality of online legal material and consistently ensures the quality is above board. The turnaround times of posting online legal material have decreased and his keenness to detail is unmatched. He is very invested in teamwork and his leadership motivates departmental members and improves cohesiveness in the department. He is an all-round team player even within the organisation. An outstanding and dedicated employee, Mary transferred into the I.C.T Department from the Law Reporting Department in the year 2014 and has proven to be an indispensable member of the team. Charged primarily with managing the Case Law Database; the largest and most visited database on our website, Mary has single-handedly provided major support and training sessions to internal users thus ensuring that their workflow processes are streamlined according to their needs. This has resulted in a faster turnaround time with regards to publication of online content. Mary always seeks ways to use her knowledge to make improvements on the job. Mary has shown outstanding and steadfast ability beyond the usual call of duty to Kenya Law through application of innovative solutions that better enable the council staff carry out their day to day duties. She conveys her thoughts and ideas persuasively in a concise, organized, and professional manner. Mary also interacts with all staff members across all cadres and has proven to be flexible and adaptable to change. 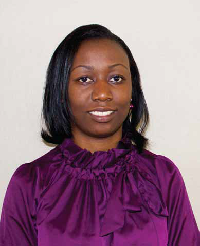 She exemplifies Kenya Law’s values through her commitment to service and quality. Citation by: Emily Nakhungu-Team Leader, SMCC Department. In the year under review, she showed remarkable improvement in her work. Her tremendous efforts were evident in the way she assisted the department in fulfilling most aspects of the strategic plan such as promoting Kenya Law publicity and by participating in various legal exhibitions. In the year 2016/2017, she recorded the best sales results. The nominee always goes out of her way to deliver extraordinary service to all Kenya Law clients. In the year 2016-2017, this officer has executed his duties with excellence, demonstrated great commitment to service and an unwavering adherence to procedure. The officer has responded to the call of duty even outside normal working hours to ensure the job gets done. The officer has executed his duties under immense pressure and met very tight deadlines. He has fostered team spirit in the department with his amiable character. The officer has not shied away from giving sound technical advice on procurement matters in the institution time and again. He has maintained professional and commendable relationships with suppliers and ensured timely procurement of high quality goods and services for the Council. The Finance department hereby nominates Mr. John Paul Mutugi as Kenya Law employee of the year 2016-2017. Rashid is a hardworking, dedicated employee, an asset not only to the Human Resource and Administration department but to Kenya Law. He exhibits commitment to quality in carrying out job responsibilities. Rashid is always willing to take initiative accepts and carries out additional responsibilities beyond regular job assignments. Rashid has been consistently dependable and punctual in reporting for duty, completing assignments on time, and participating in additional responsibilities. Rashid has a positive attitude toward work and co-workers.